MANILA, Philippines - Anti-mining advocate and ABS-CBN Lingkod Kapamilya Foundation chairperson Gina Lopez has decided to accept the offer of President-elect Rodrigo Duterte to head the Department of Environment and Natural Resources (DENR). At the sidelines of the 4th Excellence in Educational Transformation Award on Tuesday, June 21, Lopez told reporters that she decided to accept the environment portfolio a day after she was offered the post. “I’m deeply honored since it’s a controversial decision; that you have decided to trust me. I give you my firm commitment that I will do everything that I can and it’s not only to protect the environment [but also] to eradicate poverty,” Lopez said. According to Lopez, she sees herself as more than a “regulator” of environmentally-sensitive projects. The current chair of the Pasig River Rehabilitation Commission (PRRC) believes that by protecting the environment, the country can eliminate poverty. "I don't just want to regulate, I want to address the poverty,” she added. 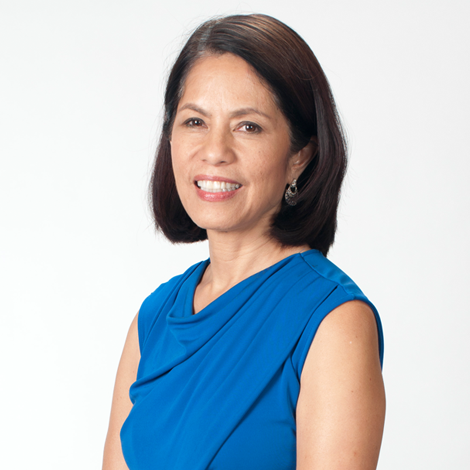 Known for opposing controversial mining projects, Lopez said she was open to meeting promising advocates in order for her to give her suggestions on how to address issues in the industry. The environment advocate revealed that farmers and fishermen were at the losing end of mining activities in the Philippines. A strong critic of using fossil fuels as energy sources, Lopez said the poor are suffering so coal-powered plants can make money. Citing the case of Semirara Mining and Power Corp., which she tagged as “nightmare”, Lopez said the company made seaweed farmers suffer. Lopez believes the government should focus on the development of renewable resources such as wind and solar energy. Furthermore, Lopez gave a tough warning against corrupt officials at the department. “We’ll clean the ranks of DENR. Those accepting bribes, your days are over. Stop it. No corruption is acceptable,” Lopez said. Earlier, several environmental groups commended Duterte’s decision to appoint Lopez as environment secretary and urged her to accept the post.